The words “bank” and “hotel” are not often found in the same sentence. Yet there is one establishment, located regally in the heart of London’s financial district, that brings both words together, to sumptuous effect: The Ned. 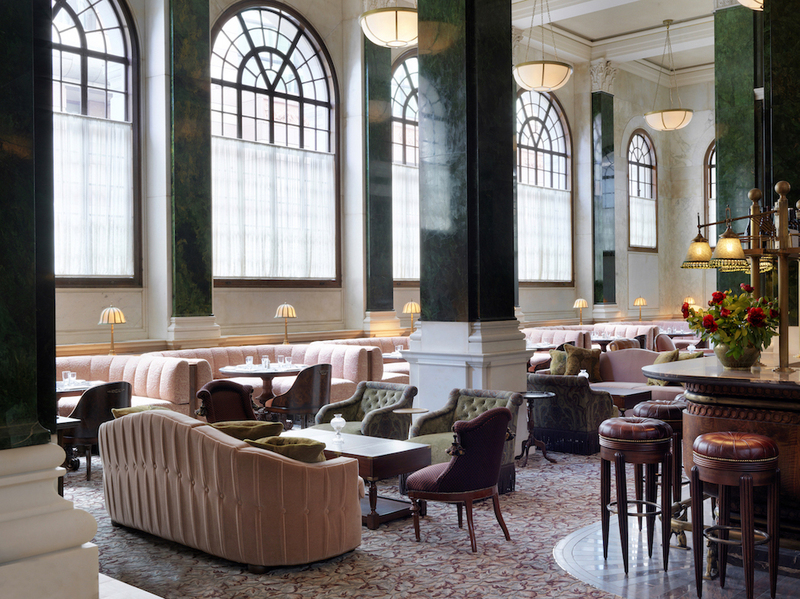 One of the most glamorous additions to London’s hospitality scene in recent years, The Ned is a five-star contemporary hotel which opened last year in the confines of a former bank. The historic Grade 1-listed building was designed as the headquarters for Midlands Bank in 1924 by the British architect Edwin Lutyens (aka Ned), before being completed in 1939. 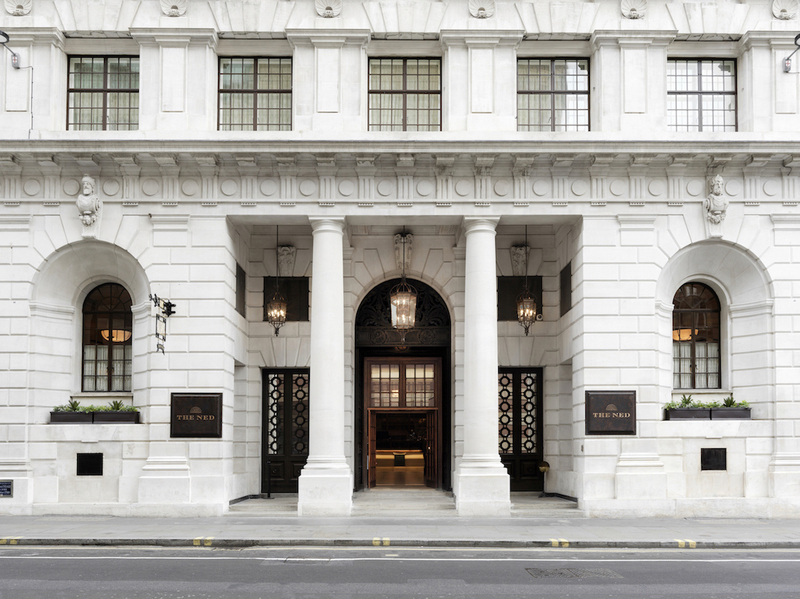 Today, the former HQ – located just opposite the Bank of England – is a grandly sprawling hotel with 10 restaurants, most of which are housed in its impressive ground floor space (complete with 92 original green verdite marble columns, toweringly high ceilings and monochrome tiling). Not to forget its 250 guestrooms, a plush Cowshed spa, an underground pool, plus an exclusive private member’s club complete with a rooftop restaurant and a bar in the vaults (the 20-tonne door and original safe deposit boxes now mixed with late night cocktail sipping and splashes of contemporary art). The Ned was the brainchild of Nick Jones, the entrepreneurial British visionary behind the private members group Soho House (it was designed by their in-house design team), who joined forces with the Sydell Group and US investor Ron Burkle to bring the project to life. 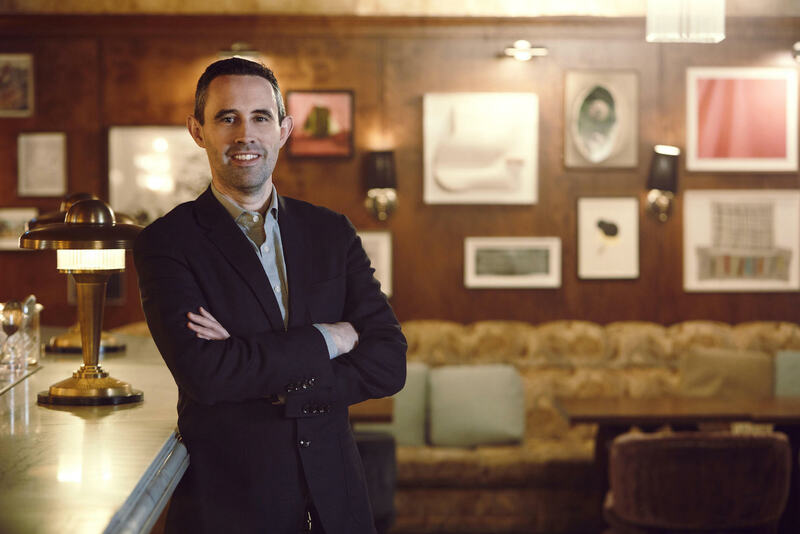 Here, Gareth Banner, managing director of The Ned, offers an inside’s glimpse into the glamorous world of London’s most famed former-bank-turned hotel. What is the concept behind The Ned? 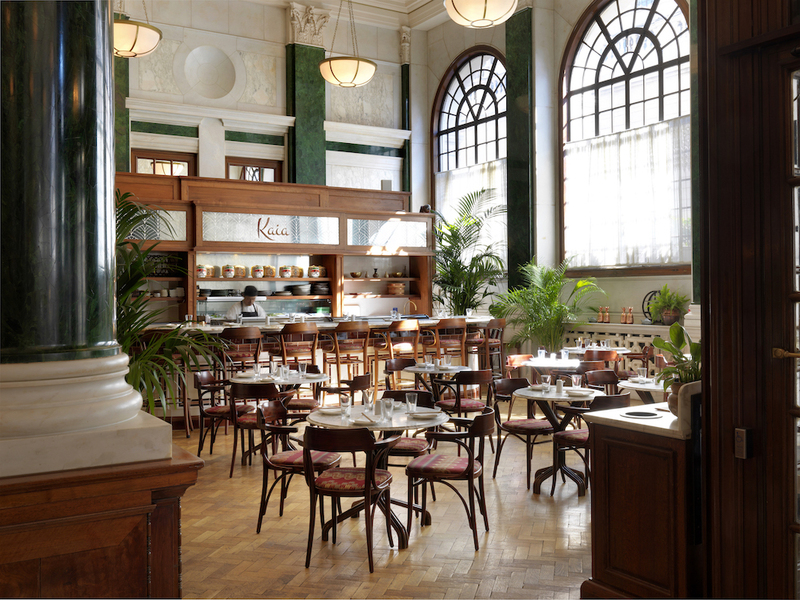 The Ned is set in the former Midland Bank building, designed by Sir Edwin ‘Ned’ Lutyens in 1924. Soho House & Co and New York’s Sydell Group joined forces to create The Ned, and we opened in May 2017. The property now includes ten restaurants, 250 bedrooms channeling 1920s and 1930s design, a range of men’s and women’s grooming services and ‘Ned’s Club’, where members have access to the rooftop pool, gym, spa, private dining spaces and a late night bar in the bank’s original vault. How did this project come to life? The Square Mile [the financial district] wasn’t on Nick Jone’s radar, but he fell in love with the building as soon as he saw it in 2012. He toured the site and the moment he left he called the principal investor Ron Burkle, who came to view the building. Straight away they began to imagine how the project would work. What makes it different from other London hotels? I think that the entertainment offering really makes The Ned stand out. The ground floor of the property is such a large space but its Nickel Bar stage provides a focal point that brings it all together. Since opening, hundreds of acts have performed on the stage – Paloma Faith, Tinie Temper, Mel C and Gary Barlow, as well as emerging talent such as Flyte and Paradisia. Also, the food and beverage offering is probably the most extensive in Europe – we wanted to create an offering for everyone. We have ten restaurants – and even more bars – serving food from across the world including Italian, British, Asian-Pacific and a New York-style deli. The building is of course particularly impressive. What stand out details can you share? 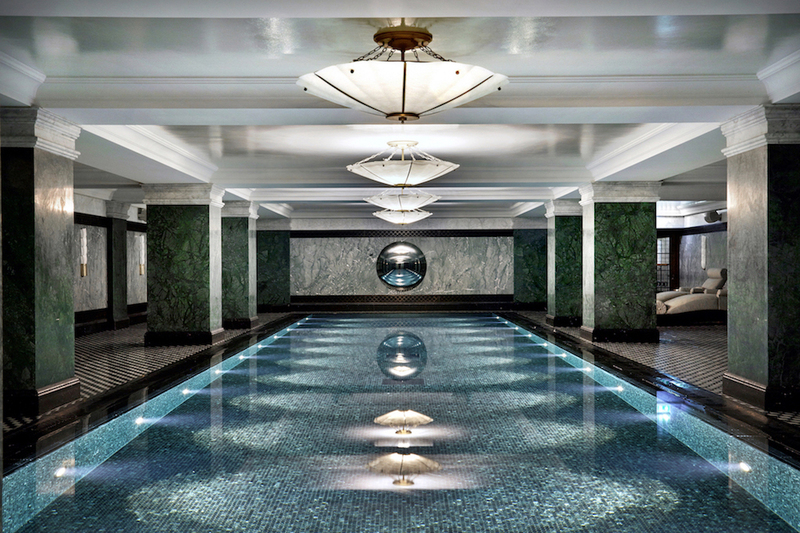 The swimming pool in Ned’s Club Spa – on the second basement floor – used to be a bullion vault. It’s now reimagined as a 20m lap pool. The sixth floor, which houses the main function rooms, has changed the least. The Tapestry Room is cloaked in a huge tapestry, which was the largest in England when installed in 1932 and features coats of arms from 120 UK cities and towns where Midland Bank had a presence. 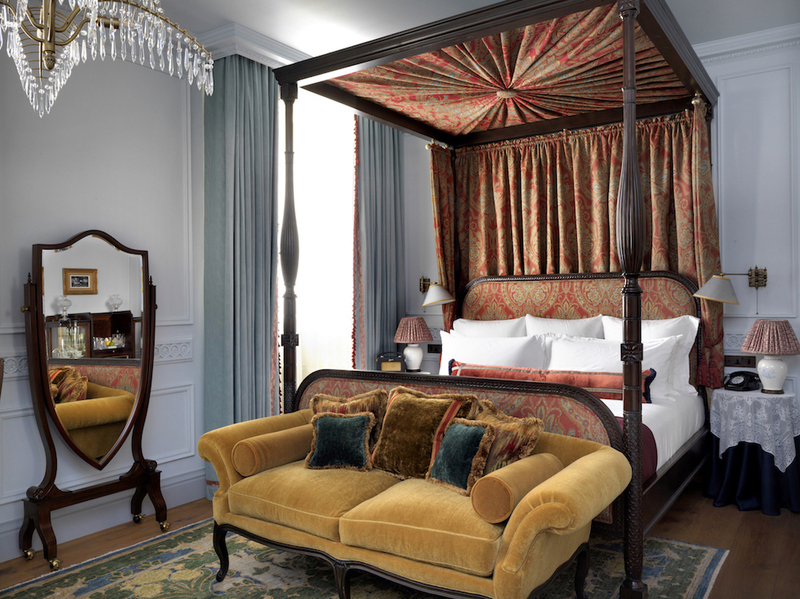 We also restored an enormous 18th-century chandelier from Devonshire House on Piccadilly to light The Saloon. The spaces have been repurposed to make the Midland Bank Headquarters relevant again and we’re so proud to be part of that. What were the biggest challenges in the transformation from bank to hotel? We are so lucky to have a Lutyens’ building but the Grade I-listed status provided challenges, particularly when it came to the ground floor. When Lutyens designed the bank he installed 92 green verdite marble columns and hundreds of walnut panelled counters for the bank tellers. Everything was protected by the listing, and we had to work out how to fit restaurants and bars into the space. The bustle of the old bank’s reception area has been preserved – now, more than 850 people can eat on the ground floor. Which key original features have been preserved? The Vault is one of the most impressive original features – it hosts 3,800 original stainless steel safety deposit boxes and has a two-metre wide door. It once stored deposits worth £335 million – around £15 billion in today’s money. The design team balanced out the severe geometry by creating a plush club space that is used by members through to the small hours. It’s full of velvet and very tactile furnishings to soften the steel and warm the space up. How does it compare to sister ventures such as Soho House properties? The Ned contains a lot of Soho House DNA; we have a Cowshed, a Cecconi’s and House Ride in Ned’s Club Gym. A key differentiator is membership – at The Ned we have a membership club called Ned’s Club – but you don’t need to work in the creative industries to join. The Ned is for everyone – we want people that work and live in the City to come to The Ned and currently membership is a real mix of people – some work in finance, fashion, tech, law, entertainment and healthcare. The Ned’s location puts museums, markets and galleries a stroll from the front door – St Paul’s Cathedral is just up the road, the Barbican Centre is round the corner and Borough Market is just over the bridge. Historically the City was probably underserviced but with the opening The Ned, Bloomberg Arcade and the Royal Exchange it has become a destination in its own right. Finally, any tips to enjoy The Ned at its best? Ned’s Sunday Feast is the best way to see The Ned in full swing, it’s quite an occasion. There’s brunch dishes, lobsters, oysters, roasts with all the trimmings and more – there’s also a Bloody Mary cocktail corner and a Mimosa trolley. We knew we would have to do something quite unique to attract crowds over the weekend and are extremely proud to have a waiting list for Sunday lunch. I also love standing at the top of the spiral staircase – an original Lutyens feature – and looking down. It’s regarded by many as a Lutyens masterpiece. British writer who moved from London to Tokyo in 2007. She is a correspondent for the UK Daily Telegraph newspaper and her articles about Japanese lifestyle, travel and design have appeared in numerous magazines, including Newsweek, Wall Street Journal, Kinfolk, Departures, Monocle, Conde Nast Traveller, Wallpaper* etc.